Mic Eales is a PhD candidate at Southern Cross University. His research topic is titled Different Voice, Different Perspective: a visual arts inquiry into understanding suicide through original voice narratives. Mic has been creating artworks that examine the phenomena of suicide since 2002. 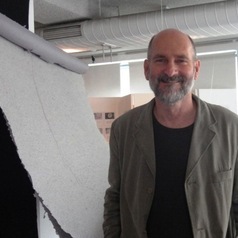 He was the 2008 winner of the Windmill Trust Scholarship for regional artists that enabled him to travel to Italy and exhibit his installation too few ladders at the 2009 World Association of Cultural Psychiatry congress. He was recently appointed to Suicide Prevention Australia’s, Lived Experience Policy Advisory Committee.